(MoneyWatch) Do you go to work when you know you are contagious? Chances are, the answer to that is yes, according to a new study by Staples, which finds that 90 percent of American workers go to work when they are knowingly contagious. This is up from 80 percent who said they came to work while sick last year. 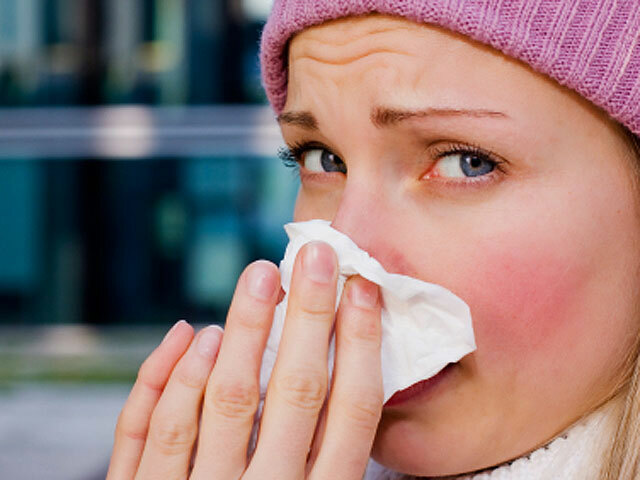 Only 60 percent self identified as coming to work while sick in 2011. -- 49 percent of respondents understand they are contagious with the flu virus for one day before symptoms develop and up to five-to-seven days after becoming sick, an improvement from 38 percent last year. --76 percent of workers correctly identified the break room as the least clean spot in the office, a sharp increase from 26 percent last year. Another problem with germ transmission, according to the Staples survey, is that facilities managers aren't necessarily doing things to help keep the germs down. Less than 50 percent use cleaning and disinfecting supplies that can correctly sanitize office surfaces. What can you do to help keep your chances of getting the flu (or other illness?) this year? Wash your hands, and use hand sanitizer. Bring your own from home if your office doesn't provide it. Keep your computer keyboard clean. Stay out of the break room. If you're the boss, make sure your employees have sick days they can use, and encourage telecommuting if someone is able to work, but contagious. If necessary, you can send a sick employee home. Be willing to help out a sick coworker so she can stay home rather than coming in and sharing germs. And most importantly, if you can at all manage it, stay home when you're sick. Maybe your coworkers will follow your example.